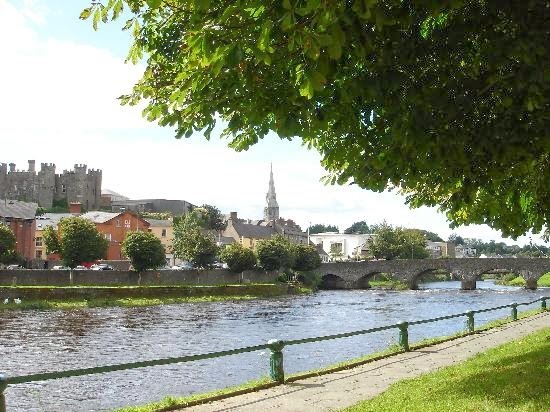 This is postcard perfect Enniscorthy, Ireland, hometown to Eilis Lacey in Colm Tobin's Brooklyn. 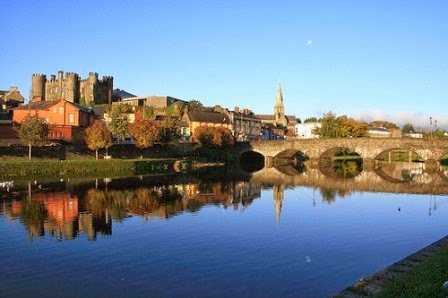 It also happens to be hometown to Colm Tobin. 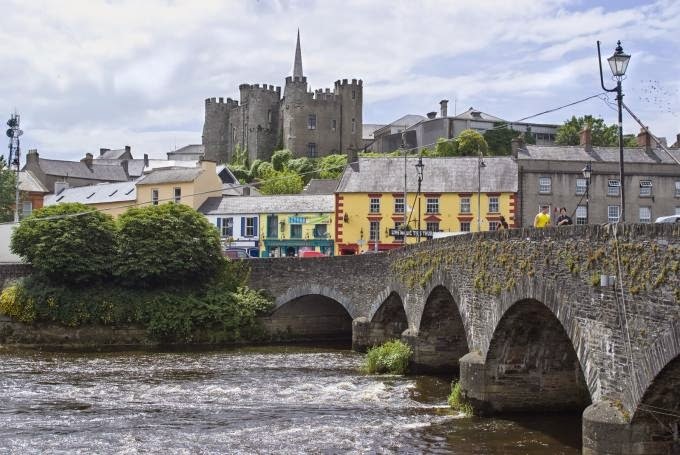 And according to the Cory Guardian, Enniscorthy will 'play' itself in the film version written by Nick Hornby and starring Saoirse Ronan as Eilis Lacey and Domhnall Gleeson as Jim Farrell, the hometown boy she leaves behind. 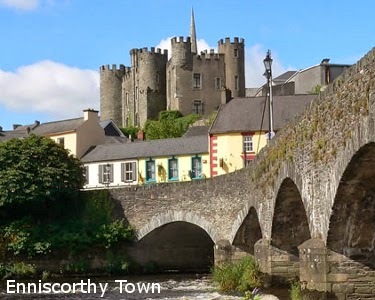 Shooting in Enniscorthy is supposed to last about ten days at the start of April, so if you're in Ireland, be on the lookout. 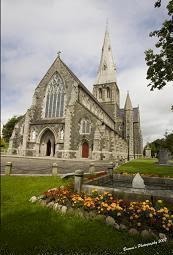 The filmmakers will be shooting at various timeless locations including St. Aidan's Cathedral, Church Street, Castle Street, and the Curracloe Strand, and my Irish friends, they are looking for hundreds of extras. Give us a holler if you get cast. Seeing the sights is really one of my favorite parts about watching movies; getting to travel to all these incredible places with unique architectural points of view; how are they able to maintain their charm? Surely the suburbs encroach here too? 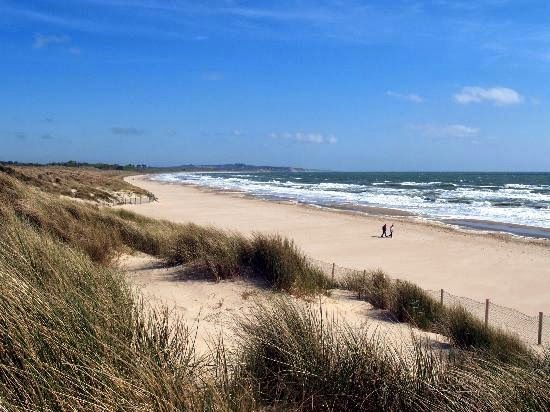 Although I suppose any town that has a castle would have to fall under the protection of the National Trust which makes sense. Did you catch the castle on the hill? And the arched stone bridge; neither is part of any tableau I'm accustomed to seeing here in Los Angeles. If this was your home, if you'd spent your entire life here, this would be a terribly hard place to leave, like pulling out of a hug first. A place where 'everybody knows your name' has to have a potent impact. 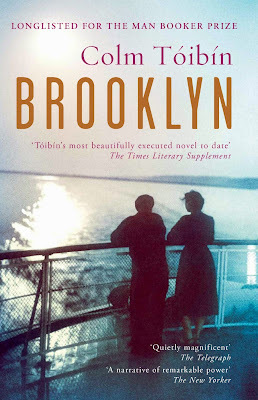 But in Brooklyn, Eilis does in fact leave this lovely place at the urging of her sister Rose to emigrate to America for a better life. 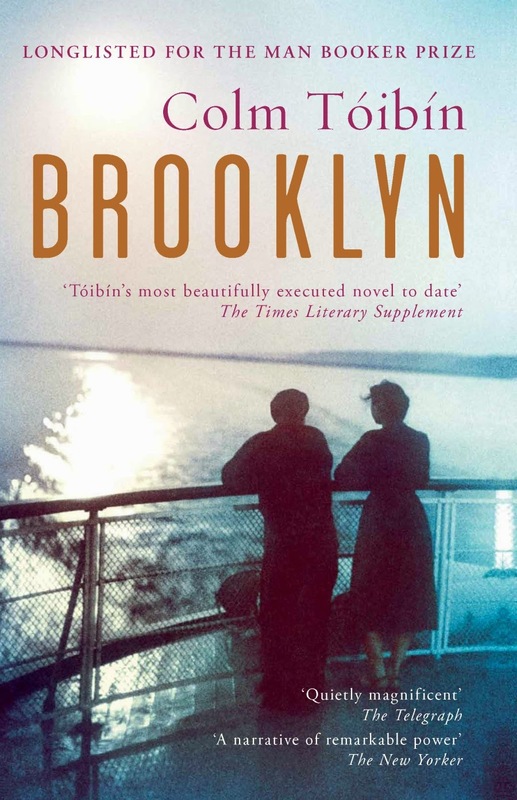 An Irish immigrant story set in the early 1950's, Brooklyn was adapted for the screen by Nick Hornby and is being directed by BAFTA winning Irish director John Crowley, known for semi-edgy indies (Boy A, Closed Circuit). I'd wondered who would play Tony, the Italian boy Eilis meets in America; it's Emory Cohen who was Bradley Cooper's sullen druggie son The Place Beyond the Pines. The Brooklyn cast includes Jim Broadbent and Julie Walters in undisclosed roles; her parents? Or he could play the Irish priest who sets her up in Brooklyn. And if you've never seen the old Educating Rita classic in which Julie Walters starred opposite Michael Caine, do yourself a favor and hunt it down.